CBD sales in the U.S. are expected to top $1.9 billion by 2022 — a four-fold increase in as many years. But what is this new darling of the industry, and what’s the best way to try it? In short, CBD, or cannabidiol, is the won’t-get-you-high cousin to THC. Like THC, it’s also found in the marijuana plant and as a cannabinoid, will bind to receptors throughout the body. But, where THC’s primary appeal is in its euphoric effects (and its physical benefits are often seen as a bonus), many people view CBD’s main draw as therapeutic. 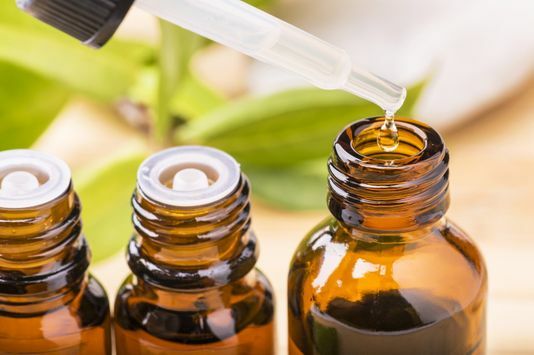 Although the research on CBD remains scant and the compound still lacks FDA approval, many turn to it to manage anxiety, pain, gastrointestinal issues, and inflammation. In Colorado, you’ll find a range of CBD products, including flower, edibles, balms, and lotions. It’s noteworthy that all the products sold in the state’s recreational dispensaries must, by law, contain at least trace amounts of THC. But Holub says not to fret. Some of the products have such a high CBD-to-THC ratio that getting high is very unlikely if taken as directed. If you’re feeling ready to give it a go, you can always talk to a bud-tender, but to pique your interest and give you a starting place, here are some of Choice Organics’ most popular high-CBD products. Even if you’re not looking to get high, the most traditional way to consume marijuana — by smoking flower — is still an option thanks to high-CBD, low-THC varieties of plants on the market. The cannabis strains most people are familiar with contain 20% to 30% THC, whereas high-CBD varieties have half that or even less. Choice Organics sells R5, an in-house variety that’s 15% CBD and just 1% THC. To get such a high CBD-to-THC ratio, growers use selective breeding, combining the genetics of various high-CBD plants until they get the desired product. “The grow method and maturity of the plant determine the potency to a degree, but the strain gives high CBD or THC,” says Choice Organics’ Head Grower Andy Weyers. To make sure they’re delivering as promised, producers then send samples of their batches to independent labs for testing. To up the options, Choice Organics sells other vendors’ high-CBD flower as well. A bestseller is Caddy Shack, a 9% CBD, 13.38% THC strain. “As far as preference goes, it’s good to have the varieties because some people still want the psychoactive feel from the THC. But ours is very CBD specific,” says Holub. For those who don’t want to smoke, there’s an even wider range of high-CBD products available. Shop favorites include Lucky Turtle Restore, Stillwater Ripple, and Wana Strawberry-Lemonade Gummies. Those who want to minimize the likelihood of experiencing marijuana’s euphoric effects will want to try one of several very low-THC options. One popular choice is Stillwater Ripple, a distillate powder with a 20-to-1 CBD-to-THC ratio. The product comes in single-dose Stevia-like packets and can be sprinkled on food or mixed with a beverage, making it discreet and easy to use. Another favorite is Lucky Turtle Restore, a tincture with a 50-to-1 ratio. Simply put a dropper-full under the tongue. If you’re looking for a “heavy hitter,” Holub recommends trying a 1-to-1 ratio product such as Wana Strawberry-Lemonade Gummies. These edibles will definitely deliver a recognizable marijuana high, but she stresses, “THC and CBD work well together,” enhancing and complementing one another’s trademark effects. If you want to avoid the risk of getting high but still want the benefits of a CBD/THC combination, bath bombs and topicals are a safe, surprisingly luxurious option. The Coda Signature bath bombs are an excellent way to relax after a long day or a hard workout. Just drop one in the tub and settle in. Evolve Nanoserum is a pump-action topical with a 1-to-1 CBD-to-THC ratio and is a popular solution for pain relief. Mary’s Medicinal makes a transdermal pump pen that dispenses a 2-to-1 topical that helps with inflammation and pain. If you’re feeling some sticker-shock as you venture into the high-CBD market, you’re not alone. But, there’s a good reason why higher ratio CBD-to-THC edibles and topicals are more expensive than their high-THC counterparts, while high-CBD flower runs about the same price as a high-THC strain: It’s more time consuming and requires more plant to extract CBD than THC. Fortunately, there are plenty of options, so you can find something that works for your body and your budget. “There’s essentially something for everyone if you want to go the CBD route,” says Holub. It’s just about trying products until you find the one that’s best for you.